Last week the Ad Council, the largest U.S. producer of public service advertisements (PSAs), held its 63rd Annual Public Service Award Dinner honoring Shantanu Narayen, President & CEO of Adobe. James Corden, host of CBS’s The Late Late Show with James Corden, hosted the event, which concluded with a live performance from singer and activist Sheryl Crow, presented by iHeartMedia Inc. The event, which raised an unprecedented $4.5 million, was held at the Waldorf Astoria Hotel in New York City. Attended by more than 1,400 prominent executives from the media, advertising, and corporate communities, the Annual Public Service Award Dinner recognizes the industries and individuals who support the Ad Council and its public service campaigns. This year’s dinner was chaired by Margo Georgiadis, President, Americas of Google and Chair of the Ad Council’s Board of Directors. Platinum Sponsors include Adobe, Facebook, Google, iHeartMedia Inc. and Clear Channel Outdoor. Attendees included Lizzie Valasquez, an anti-bullying activist who stars in the Ad Council’s “I Am A Witness” bullying prevention campaign, the Henderson-Strong family featured in the iconic “Love Has No Labels” PSA launched last year, and Jocelyn Esparza from the High School Equivalency campaign. Mr. Narayen was presented with this year’s Public Service Award in recognition of his philanthropic work and public service contributions through the Adobe Foundation. As Adobe’s CEO, Mr. Narayen is also president of the board of the Foundation, which funds philanthropic initiatives around the world, with a special focus on fostering creativity in youth. He is passionate about building and empowering teams to drive product innovation while expanding Adobe’s leadership in sustainable and ethical business practices. Adobe’s top priorities to create positive change include investing in programs to drive greater workforce diversity and inclusion; supporting the next generation of creatives and coders; powering Adobe’s operations and digital delivery of products with 100 percent renewable electricity; enabling Adobe customers to save natural resources through use of its digital products; and operating from a foundation of integrity and ethical conduct. 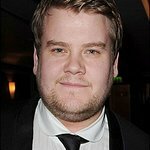 James Corden is an award-winning actor, comedian, writer, television producer, and television host. He is known for hosting CBS’s late-night television talk show, The Late Late Show with James Corden. Previous hosts of the Ad Council’s dinner include Joel McHale, Stephen Colbert, Ellen DeGeneres, Jimmy Fallon, Tina Fey, Seth Meyers and Conan O'Brien. Sheryl Crow, whose performance was provided by iHeartMedia, Inc., is a world-renowned singer-songwriter and breast cancer activist. Crow has used her talent to support many nonprofit causes including Stand Up To Cancer, The World Food Programme, Feeding America and Adopt-A-Classroom. 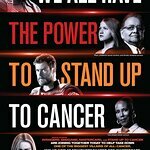 After being diagnosed with breast cancer in 2006, Crow partnered with her surgeon, Dr. Kristi Funk, to open the Sheryl Crow Imaging Center at Funk’s Pink Lotus Breast Center. The Ad Council has been honoring corporate leaders for their contributions to public service since 1953. The Public Service Award Dinner is the organization’s largest fundraising event. The event is annually ranked by BizBash as one of the top 100 events in New York City and as one of the top three advertising events of the year.